CITES bares teeth, but can it bite? A week’s long meeting of the CITES Standing Committee ended today. The committee governs the Convention on International Trade in Endangered Species (CITES) between full-scale meetings of the Conference of the Parties. Geneva - A week’s long meeting of the CITES Standing Committee ended today. The committee governs the Convention on International Trade in Endangered Species (CITES) between full-scale meetings of the Conference of the Parties. The decisions taken are racheting up pressure on a number of countries to be held accountable over their failure to deal with rampant poaching and illegal trade, but no sanctions or punitive measures were agreed. Earlier this week WWF reported that many countries are failing to protect threatened species like rhinos, tigers and elephants. African countries identified as the main sources of illegal ivory in trade, plus Asian and East African transit countries and the two countries with the largest illegal ivory consumer markets—China and Thailand—were given until the end of the year by the Standing Committee to provide written reports of what progress they have made in tackling the illicit trade. Failure to do so could ultimately result in a suspension of all trade in CITES-listed species with the country concerned, but the CITES Parties have so far avoided taking such action. Thailand, for example, had already been called upon to submit such a report, and did so at this meeting. WWF and TRAFFIC considered their report vague and non-committal, and joined others in calling for a timetable for the legislative changes needed to close a gaping loophole that allows ivory from illegal sources to be laundered into the Thai marketplace. “With elephant poaching and illegal trade in ivory reaching new heights, we should not be shy about using CITES trade suspensions as an international tool to prevent a full-blown elephant crisis,” said Tom Milliken, who co-authored the report on the status of elephants to the meeting. The report highlighted that up to 23% of Central Africa's elephant populations are being killed each year. This was further evidenced by the massacre of more than 30 elephants in Chad whilst the CITES meeting was taking place. Meanwhile, Central African governments revealed a new plan at the meeting to combat poaching and illegal trade in the region. “The new Central African plan is warmly welcomed, but it is critical that the plan is rapidly implemented because time is running out for the elephants of this region,” said Colman O Criodain, WWF’s wildlife trade specialist. At a side-event on the forthcoming on-line version of the Elephant Trade Information System (ETIS), managed by TRAFFIC on behalf of the CITES Parties, was demonstrated. The new internet-based system provides much improved facilities for data collection and analysis, and will be formally launched later this year. The country at the centre of the rising demand for illegal rhino horn—Viet Nam—was similarly instructed to report on what progress it had made in curbing rhino horn demand, and has until 3 September to report. 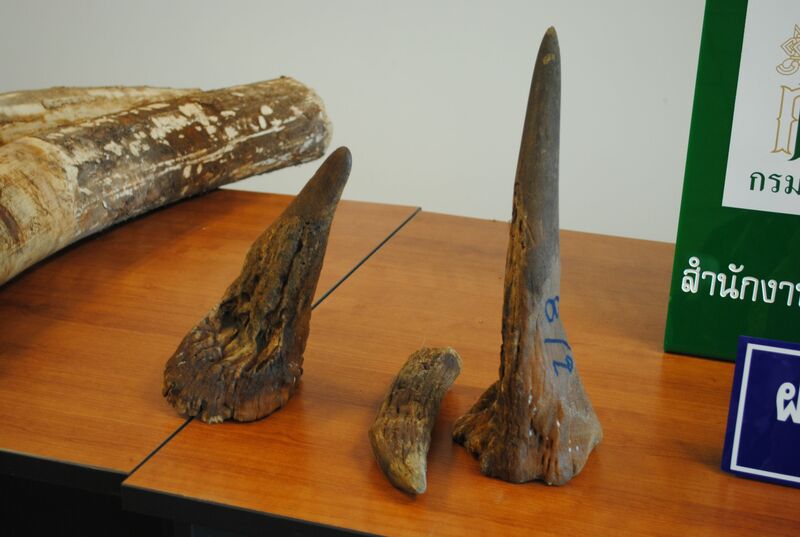 In particular, Viet Nam will need to explain what measures have been implemented to prevent illegal import and trade in rhino horn, how the black market in rhino horn is being targeted in the country, and what is being done to discourage rhino horn use. “Viet Nam is the principal driver of rhino horn trafficking, and as such, has an international obligation to curb the demand for horn, implement national trade controls and help end rhino poaching in Africa,” said Tom Milliken, TRAFFIC’s rhino expert. The Standing Committee also instructed CITES’ Rhino Working Group to focus on actions needed to reduce demand for rhino horn and was tasked with developing a demand reduction strategy, taking into account the outputs of the experts’ meeting convened by TRAFFIC and WWF in November last year on messaging to reduce consumer demand for tigers and other endangered wildlife species. 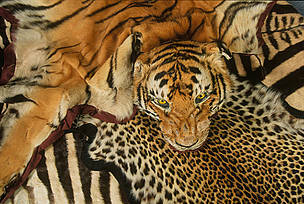 For tigers, the spotlight fell on the Global Tiger Recovery Programme agreed in St Petersburg in November 2010. A number of tiger range States had failed to report to the committee, even though obliged to do so. “It’s disappointing that some of the countries fortunate enough still to be home to wild tigers simply aren’t adequately motivated to let others know what they are doing to protect them,” said O Criodain. The illegal trade in tiger parts was also on the agenda, with TRAFFIC highlighting its work on reducing demand for tiger products, while China reaffirmed its commitment to the ban on trade in tiger parts, but made no firm statements about phasing out existing tiger farms. After a number of years in the spotlight, the Solomon Islands finally announced a ban on the manifestly unsustainable trade in live dolphins for trade. Its announcement came hot on the heels of TRAFFIC revelations into the use of alleged “captive-breeding” to circumvent CITES regulations on trade in wild birds from the island archipelago. Finally, an important breakthrough is on the cards over how CITES deals with species caught on the high seas. Debate has raged for almost 20 years over when so-called “Introduction from the Sea” actually takes place and therefore which regulatory authority should be involved. Despite misgivings expressed in some quarters, there is now an agreed text that needs to be endorsed at the next full Conference of the Parties to CITES (CoP16), which takes place in March 2013, in Bangkok, Thailand. 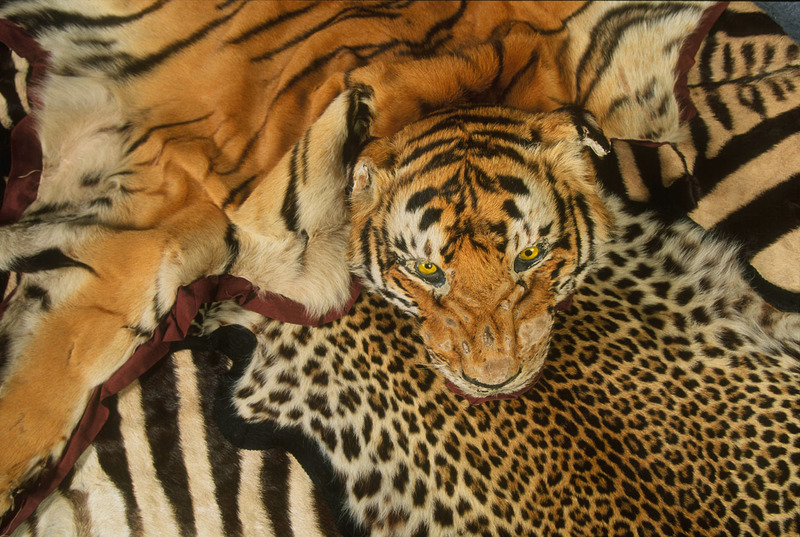 Illegal trade is putting at risk endangered species like tigers. Take action to save rhinos, elephants and tigers. Join WWF's campaign. 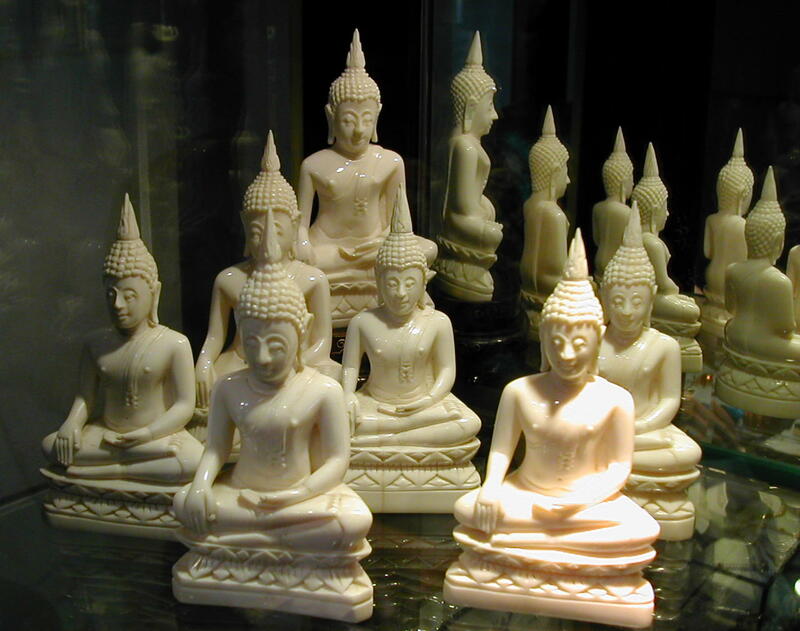 Illegal ivory from poached African elephants is making its way onto markets in Thailand.